Since 1989, we have offered the finest service in remodeling, design, and repair to your kitchen throught the Berks County area. As a design-build company we will help with every aspect of your remodeling project and general contracting needs from start to finish. Our owner, Ed, is particularly talented at understanding what people want and being able to put ideas on paper. He will help you visualize your ideas and then bring them to life. Perhaps for your own master bathroom, you'll want a spa-quality deep soaking tub and steam shower. Consider a universal design for the kids or guests. Either way, Piper Construction is the design-build contractor who can handle the job. We will take the project on from conception to completion. Our bathrooms will "wow" you! You will benefit from our expertise at designing and creating new bath remodels and renovations with a "wow" factor. Our superb craftsmanship, attention to detail, and affordable pricing will allow you to actually enjoy the remodeling process. 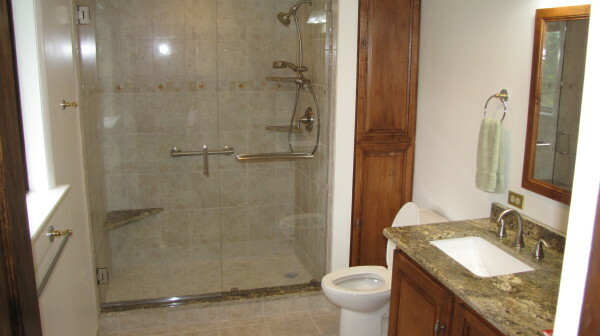 Piper Construction is passionate about renovations and remodeling. We consider the work to your patio and deck more than a hobby; it is a labor of love for your outdoor relaxation. We specialize in single tier and multi-tier patios and decks. Our gazebos are sure to provide shade and a relaxing atmosphere for your friends and family to enjoy thoughout all four seasons. We guarantee attention to designing the ideal patio and deck for your home!